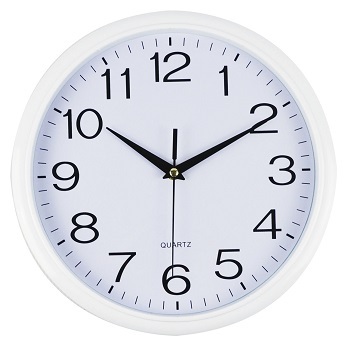 White clockface with large clear numbers and sweeping second hand. Size - Available in a choice of three sizes each with a matching smart white rim. Clear, bold numbers on a white clockface with a sweeping second hand. 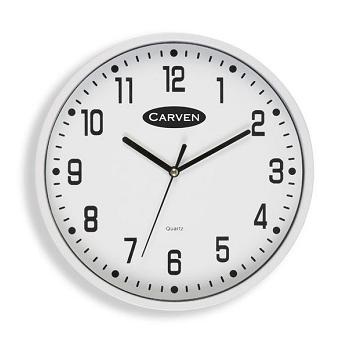 Size - 300 mm dial with either a Black or White frame/rim. Stylish analogue clock with perpetual day/date display. 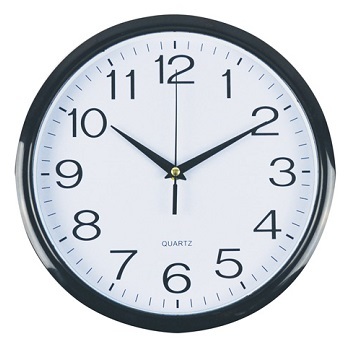 Large, clear numbers on a white clockface with sweeping second hand. Size - 285 mm dial with Silver frame/rim. 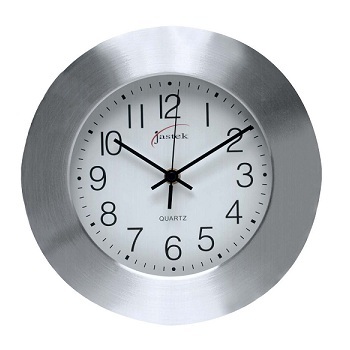 Modern analogue clock with stylish square clockface. 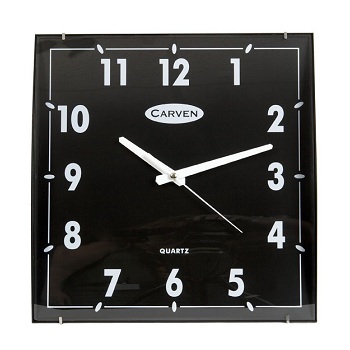 Black square clockface with bold white hands and numbers. Size - 295 mm black dial with matching black frame/rim. 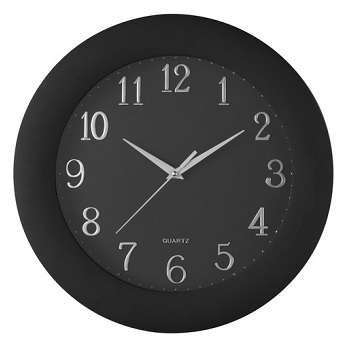 Stylish 'Black' clock for the modern office. 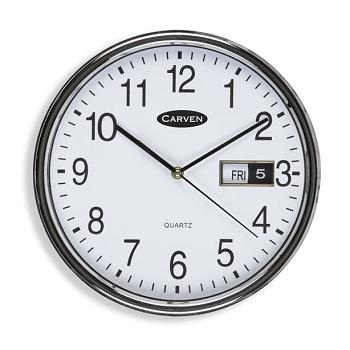 Large clockface and bold silver hands and numbers make it easy to read from a distance. Ideal for all offices, large and small. Size - Large 370 mm black dial with matching black frame/rim. Stylish 'Big' clock for those who need more time !! Large clockface and bold numbers make it easy to read from a distance. Ideal for gymnasiums, halls and all offices, large and small. 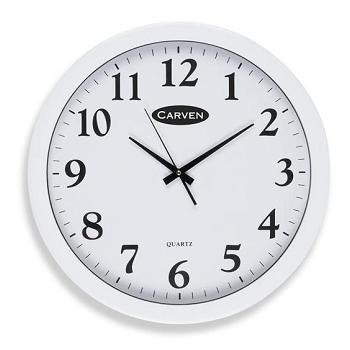 Size - Large 450 mm white dial with matching white frame/rim. Size - 250 mm white dial with an aluminium frame/rim.